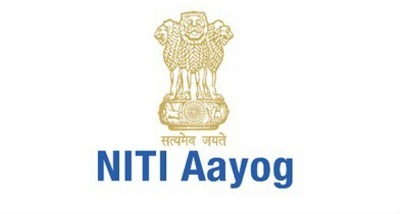 NITI Aayog has constituted the Himalayan State Regional Council to ensure sustainable development of the Indian Himalayan region. It will be chaired by Dr VK Saraswat, Member, NITI Aayog and will consist of Chief Secretaries of Himalayan States as well as Secretaries of key Central Ministries, senior officers of NITI Aayog as well as special invitees. It will be the nodal agency for Sustainable development in the Himalayan Region which consists of 12 States namely Jammu &Kashmir, Himachal Pradesh, Uttarakhand, Sikkim, Arunachal Pradesh, Meghalaya, Nagaland, Manipur, Mizoram, Tripura, two districts of Assam namely Dima Hasao and Karbi Anglong and Darjeeling and Kalimpong in West Bengal. Earlier in June 2017, NITI Aayog had set up 5 Working Groups to prepare a roadmap for actions in 5 thematic areas that are quite significant for the Himalayas. These areas were Inventory and Revival of Springs in Himalayas for Water Security; Sustainable Tourism in Indian Himalayan Region; Transformative Approach to Shifting Cultivation; Strengthening Skill & Entrepreneurship Landscape in Himalayas; Data/Information for Informed Decision Making. These working groups were constituted after NITI Aayog recognised that mountains require specific solutions for resilience building that address socio-economic and environmental challenges in the mountain setting. Q. Who has constituted the Himalayan State Regional Council to ensure sustainable development of the Indian Himalayan region?